So, strangely enough, for the past few days my topmost inspirsession has been an oldspirsession. Something that was introduced to me when I was six or seven, which came fully into the light at eight or nine, and became a full-on obsession until about the age of thirteen. But if you knew me at the turn of the millennium (and especially if you invited me to play tetherball with you), you know perfectly well I'm not talking about any of the above. 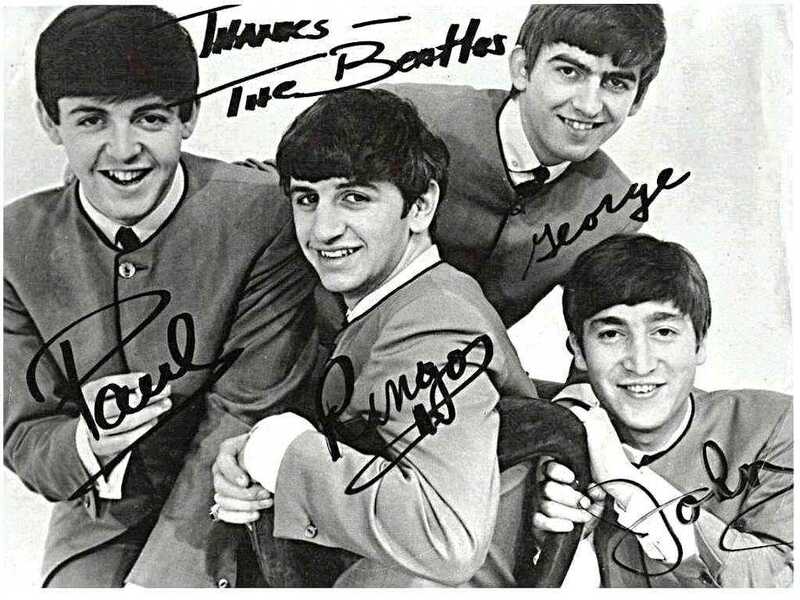 In my mind, these men might as well have been creatures from another planet, cause I was bounding and bouncing through the bowels of Beatlemania. Fact: I liked drawing attention to myself as a kid. I like to think every kid does, but that would be avoiding the truth of it: I was (and sometimes still am) a bit of a show-off. More than attention I love feeling unique. Today it has little to do (consciously anyways) with feeling my opinions are more valid than anyone else's; I just like having my own taste, and I like others have their own too. You could say I feel the same about personalities as I do about photographs: everything's better in high contrast. It was my dad who told me who they were. I'd certainly heard their songs before on my ever-Oldies-tuned radio, but at the time I couldn't tell them apart from The Monkees or Badfinger. I just knew I liked their sound. So Dad took down an old record, and then there they were in front of me, all moptops and smiles, and in an instant the heat of a first crush microwaved my tender preteen heart. And still pressing full power today. I convinced my best friend at the time to declare her love for the Beatles too, and we spent recess hitting the tetherball back and forth shouting the tracks off the "Beatles 1" album back and forth, in chronological order. I fancied myself impressive for this: I'm sure no one actually knew what the hell we were doing. The walls of my room, much to my mother's dismay, I always considered my personal gallery for displaying yearly (or in some cases decade-long) convictions. First it was self-drawn pictures of horses and houses. Then came Elvis, probably. Somewhere in this period I chose a special portion of my wall to decorate with magazine clippings of all the "latest and greatest": Britney, Christina, Justin, and all. I drew horrible eyebrows and mustaches on the lot of them. 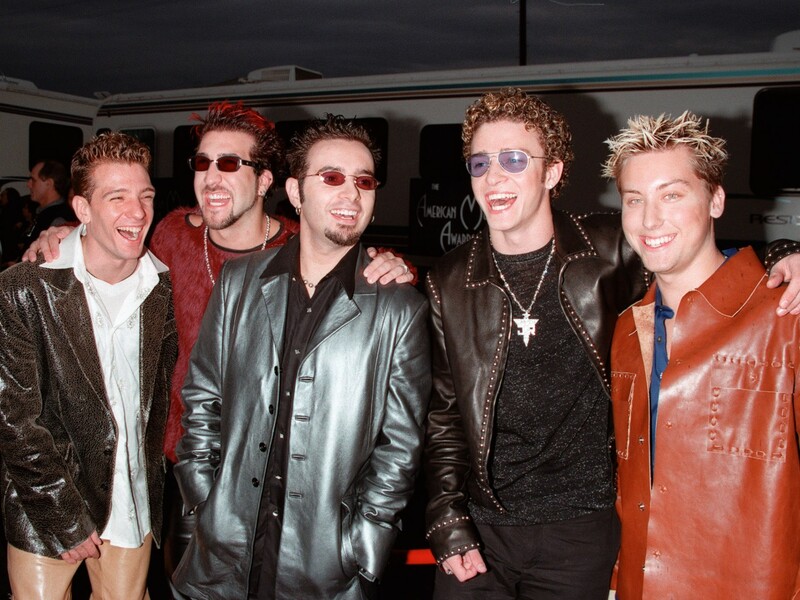 I added little captions like "Duuuuuh, I'm an idiot..." and "N*SYNC? N*STUPID!," thinking myself wonderfully clever. When I purchased an Elvis Barbie doll with my allowance savings, I set him up on my jewelery box with a makeshift paper crown that read "THE REAL KING," then positioned a headless, scantily-clad Barbie doll beneath him, complete with a butter knife guillotine and a name tag simply titled "Britney." My mother implored me to dismantle my masterpiece the following month. The Beatles got me through elementary school the way John Hughes did middle/high school. (Somewhat ironic, that pairing, because John Hughes idolized the Beatles immensely.) The only thing that came close to this amount of overwhelming love was Harry Potter* -- and indeed it was Rupert Grint (and perhaps the disillusioning image of a modern day McCartney) which finally drove me from my love for Paul. But the Harry Potter characters, until the movies anyway, were always only fantasy. They hadn't lived and breathed... or been recorded in stereo-sound. Even though I never tired of their music, my Beatlemania had eased significantly by the time I reached teen-dom, and only resurged once during my time in high school: during the lead-up to Across the Universe. In the time between then and now, I've nursed many obsessions -- several of which this blog has been privy to. The 1980s, of course. The Phantom of the Opera. James Dean. Hair. Lady Gaga. Katherine Hepburn. Johnny Cash. Mumford & Sons. Knitting, even. 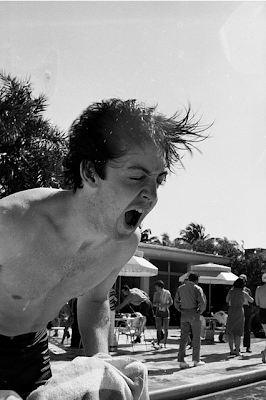 And now, for a reason I can't explain, those Beatles bit again. And it's like getting to fall in love with the same person twice! This time around I have far wider access to resources, thanks to the internet. 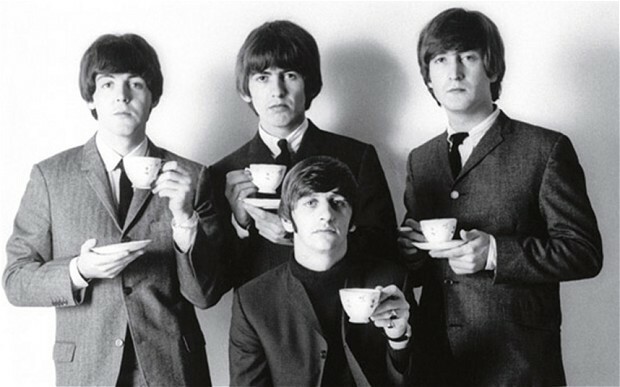 I can watch interviews on YouTube and search song meanings on forums and stream "Hard Day's Night" straight to my bedroom -- all of which I did. Yesterday. All day. Last time it was the sound; now it's the visuals. And I'd never heard George speak before, outside of "Help." In fact he has the most adorable sense of humor. And then there's this. That shot of Lennon getting off the plane and looking back like "Holy S%#t!" right as we see Paul thrust a gleeful hand into the air as if to say "Hello, LONDON!" It's just great. You want stardom to work out for these guys because they're just so damn happy and down-to-earth about it. Through it all, they remain so charming. So poised and gracious. Then of course there's the sad bits, too. Like how bro-vial Lennon and McCartney were as kids, but how much their relationship suffered (and essentially lead to) the breakup. I was actually stunned when I watched this news report. The first thought that struck me was how ancient the style and recording seem. But then the gun control bit came up, and I realized this report is far from outdated. How very sad that last week we had the power to reconsider the laws governing this issue -- this same exact issue that was being discussed over 30 years ago -- and still we can't find an adequate enough reason to stop it. I liked how upfront this Walter Jacobson was in his report. I'm full on board with what this guy's saying in the end, generalizations aside. I certainly feel w'd be much better off if we'd just done what the British did and outlawed guns in the first place -- police and citizens alike. But I suppose we're too far in it now for that to be a possibility. Anyway, I don't know what this post is about, other than to share my recent reconnection with of a group of lads who always make my world a little brighter. They have somehow spanned a thread from the present to a point in my life when I was also feeling too young, too small, and too lost to know how to make a difference in my world. These guys and their songs remind me I'm never alone. That even they're "a bit like you and me." *Speaking of Harry Potter -- I think my 10-year-old self would have been tickled to realize the connection between the Beatles and the Marauders. Both fabulous foursomes from boyhood, given to mischief-making but mostly well-meaning and incredibly talented. Think about it: sensitive George/Lupin, winsome Paul/James, mischievous John/Sirius, and quirky little Ringo/Wormtail. Only difference I see here is Ringo isn't a backstabbing jerkwad. If anything he seems the most objective of the bunch and John better suits that descriptor. WOO- NERDDOM.